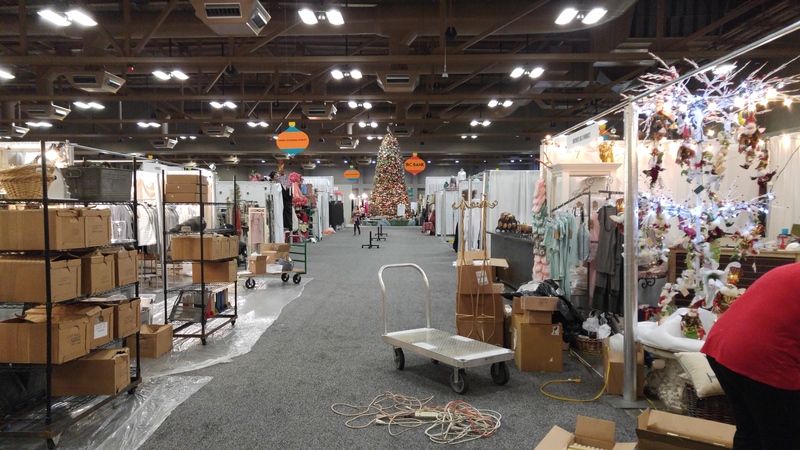 If you’re looking for a unique Christmas gift or something for that hard to buy for person in your life, The Junior League of Austin’s A Christmas Affair is the place to find it. Whether they’re into home decor, raising babies, cooking, or sports, or they’re a boot wearing fashionista, a wine lover, a snacker, a cookie or chili fan or maybe you’re looking for a $5 item for a coworker or teacher, this shindig has got something for every person on your list. Yes, this is the Smathers and Branson booth with needlepoint everything. 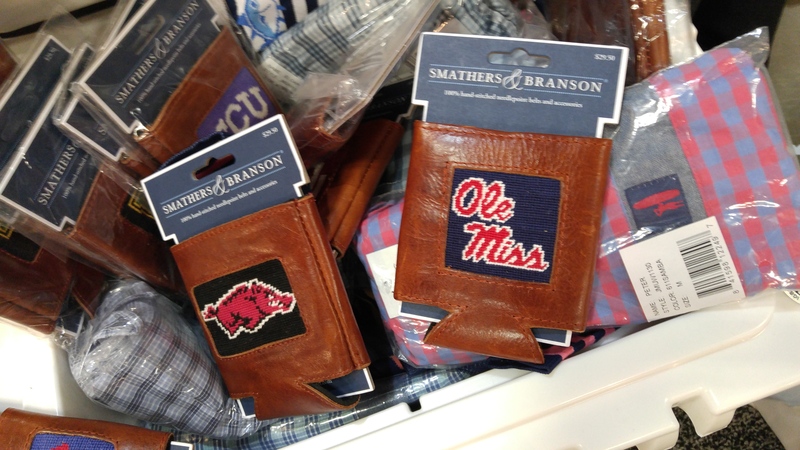 Need something for a college football fan, they got it. How about something for the college student going Greek? They got that too. The Junior League’s A Christmas Affair has kicked off and it’s in full swing. Last night’s kick off party did not disappoint. This year’s theme is A Merry & Bright Christmas and that means maud 50’s style with bright red, blue, green and all things tinsel. Yesterday I was able to get a behind the scenes tour which was oh so cool. The center Christmas tree is always a spectacular sight. 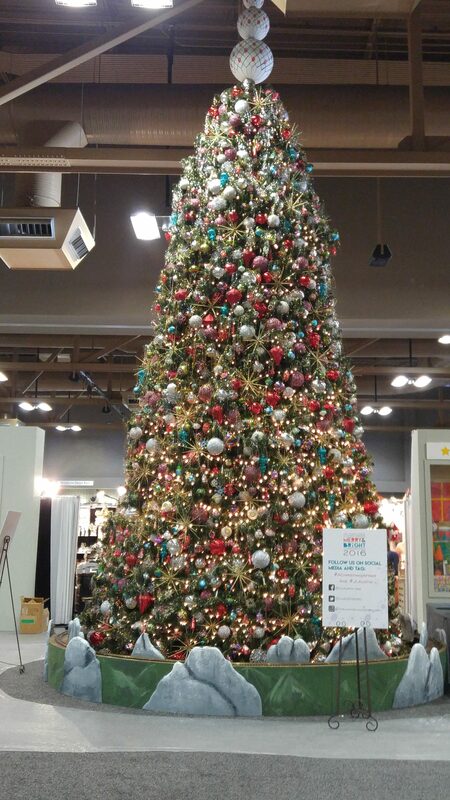 It takes three and a half days to decorate and stands 30 feet tall with over 4,000 ornaments. What a photo op! Operated completely by volunteers, A Christmas Affair is quite the happening. 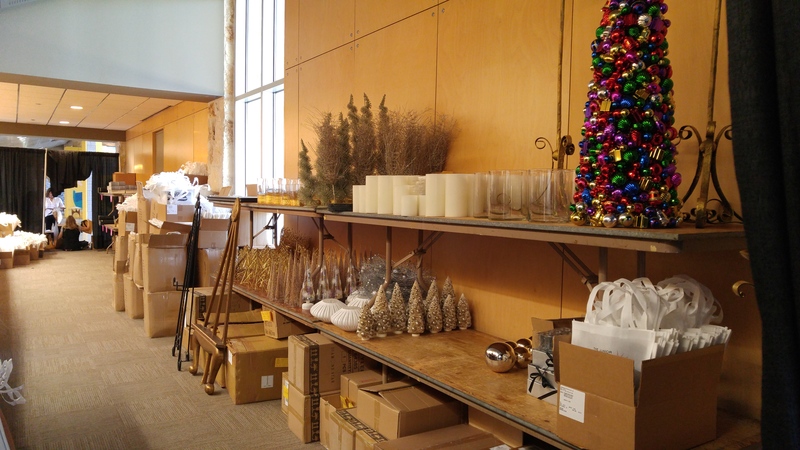 Set up begins a week out but planning is year round. It’s a well run machine and every detail is considered down to hospitality for their vendors. I love that this event has such a professional reputation and continues to do so much good for our community. It truly takes a village from volunteer committees, to donors and sponsors, to vendors and shoppers. 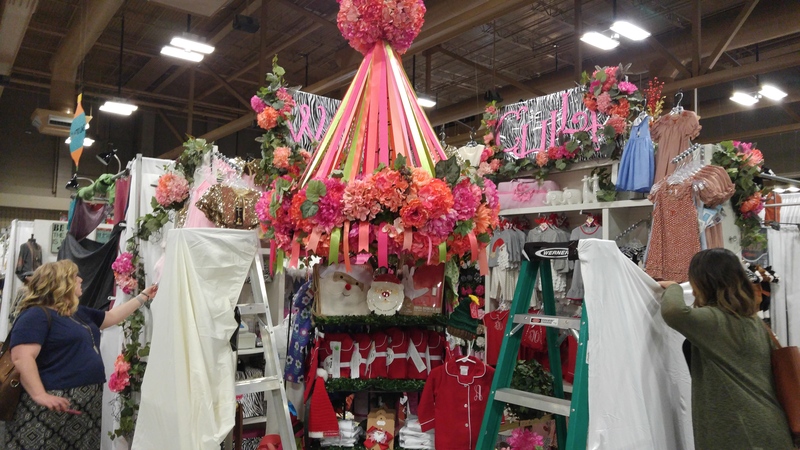 More than 200 vendors from across the US come together for this Christmas market held through Sunday. The best part about this annual event is that it benefits kids in the Austin area through Coats for Kids and Food In Tummies (FIT) providing food for kids living in poverty. 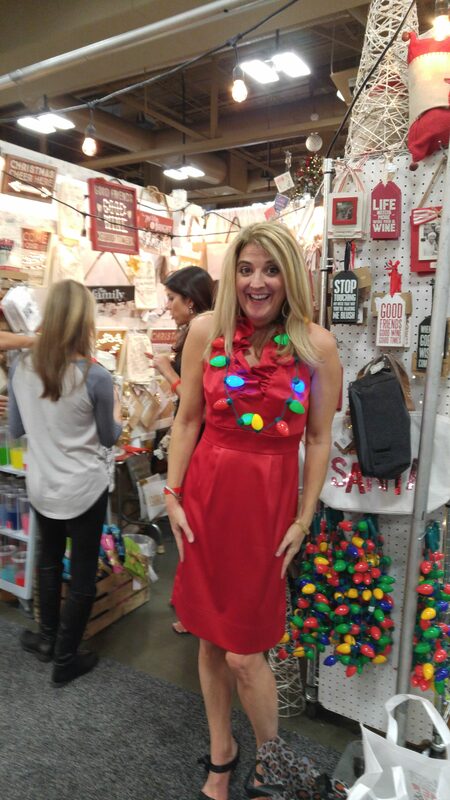 When you shop A Christmas Affair you’ll be making an investment in the community as you find the most unique gift for that special someone. If you go have a plan. Make a list of who you’re shopping for and some general ideas about what they’re into and what they love. This will help because you’ll be so overwhelmed by the options that you’re liable to leave without a thing. Don’t miss the opportunity that’s in front of you. The Junior League’s A Christmas Affair. Hand cut leather jewelry, unique & affordable! Kids gifts, accessories including bows! Take photos directly from your phone and print them on canvas! Have you started your Christmas shopping yet? Stay tuned because I have a great gift guide you don’t want to miss with 10 gifts that keep giving. Tickets for A Christmas Affair in Austin are just $15 and they’re available at the door. Don’t miss Market Days happening every day through Sunday at Palmer Events Center. Make your shopping merry & bright this year! wow, you look fabulous as always……….great pic…….